How do I accept an invitation to join a course as an observer? Instructors invite observers to join their courses. By default, when you are added to a course, you will be able to view the course without having to accept a course invitation. Note: If you do not receive an invitation to join the course, please contact the instructor. You will receive the course invitation via email. The invitation will include the course name  and your user role in the course . To complete registration, click the Get Started button . Note: You will have to sign in to Canvas to accept the course invitation. 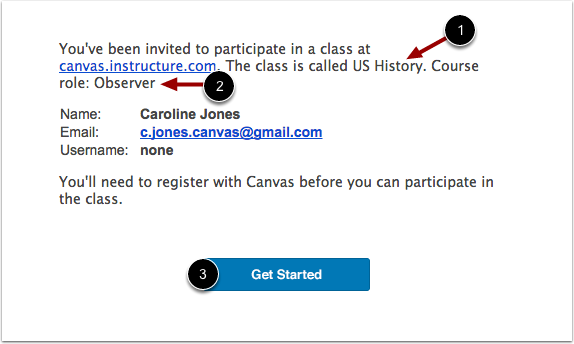 If you don't have a Canvas account you'll be able to create one as part of the course invitation. 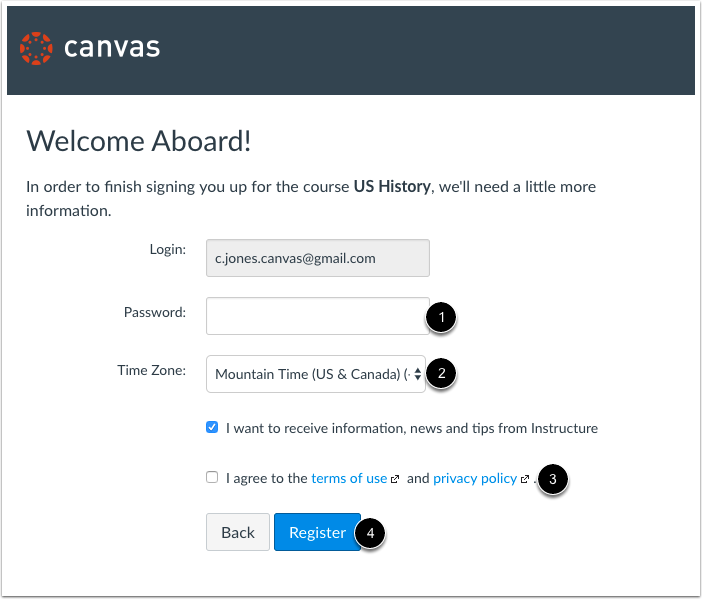 Previous Topic:How do I log in to Canvas as an observer? Next Topic:How do I link a student to my user account as an observer? Table of Contents > Introduction > How do I accept an invitation to join a course as an observer? Re: What access does accepting a course invitation provide?